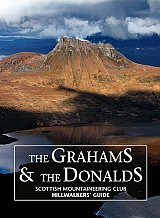 Probably the most significant guidebook to Scottish hillwalking in recent times, this handsomely illustrated book from The Scottish Mountaineering Club describes the recommended routes on The Grahams & The Donalds. The Grahams is a list of 224 Scottish hills between 2000ft (610m) and 2500ft (762m) in height and was compiled by Fiona Torbet (nee Graham) and Alan Dawson in 1992. The Donalds is a list of 140 Scottish hill summits above 2000ft (610m) in the Scottish Lowlands and was compiled by Percy Donald in 1935. 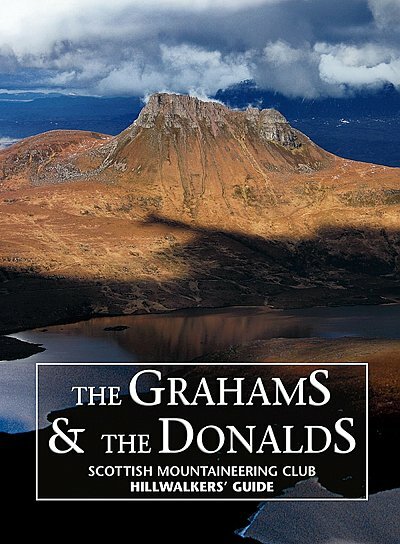 This is the first and only colour definitive guidebook to The Grahams & The Donalds and follows in the footsteps of the Scottish Mountaineering Club's best selling guidebooks to The Munros and The Corbetts. There are colour location maps of each group, together with their neighbouring hills, plus 175 detailed colour route maps and over 250 detailed descriptions, including links to other hills. The guidebook is illustrated by 320 colour photographs of the hills. There are Gaelic hill name translations plus an indexed list of Grahams and Donalds in height order, together with a full standard index. Edited by Rab Anderson & Tom Prentice and written by some of the foremost authorities on the Scottish mountains.